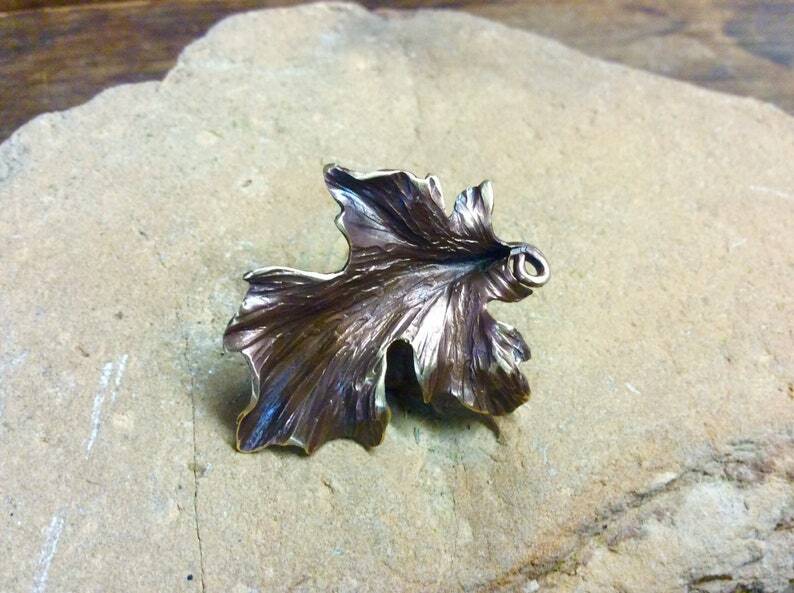 I've sawn and hammered this maple leaf from solid sheet bronze metal. It has a tac style pin to be used as a small pin, tie tac or hat pin. You will get the exact piece shown in this photo.